Boeing Corporation and SpaceX are each hoping to launch the first crewed test flights of their new commercial spacecraft by the end of 2018. To put this timeline into perspective, consider that private companies may be flying humans to space before the start of the next Winter Olympics. 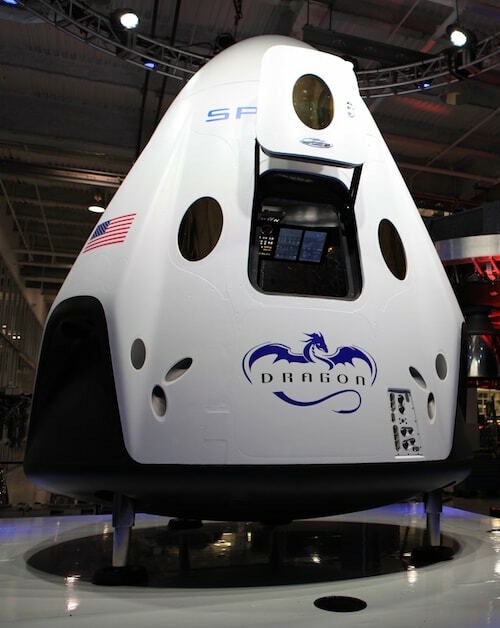 The maiden voyage of each new human-rated module––Boeing’s CST-100 Starliner and SpaceX’s Dragon 2––will be major milestones, not only for Boeing and SpaceX, but for NASA and the United States. After all, the vehicles represent America’s return to crewed launch––a capability that has been absent from our technological repertoire for the better part of the decade. Since the Space Shuttle program was shuttered, NASA has worked with partner companies to support the emerging commercial human space transportation industry. Through strategic Space Act Agreements and significant Commercial Crew Transportation Capability contracts, NASA’s Commercial Crew Program (CCP) has helped prepare private space companies to lead a new age of American spaceflight. As SpaceX and Boeing race to begin test flights of their crew-rated vehicles by year-end 2018, all eyes are on the commercial launch providers––and what their success will mean for the American entrepreneurial space industry. Boeing and SpaceX are bringing new and improved crewed launch experiences to America’s commercial space lineup. It’s been nearly six years since we’ve had a crewed rocket launch on U.S. soil, which was when NASA’s final Space Shuttle mission, dubbed STS-135, launched from Kennedy Space Center in July of 2011. If current schedules hold, Boeing and SpaceX will demonstrate their next-generation crewed launch capabilities by the end of 2018. A team of four veteran NASA astronauts have been preparing for training missions aboard Boeing’s Starliner and SpaceX’s Dragon 2. Astronauts Robert Behnken, Sunita Williams, Doug Hurley, and Eric Boe have all received training on simulations of both commercial vehicles, and three of the four will fly aboard the test flights necessary for NASA vehicle certification. The agency’s approval is important not only as a safety measure, but also since since many of the early passengers and crew will be NASA astronauts. This quote highlights a broader trend in the next generation of space technology, one that emphasizes accessibility and ease of use. 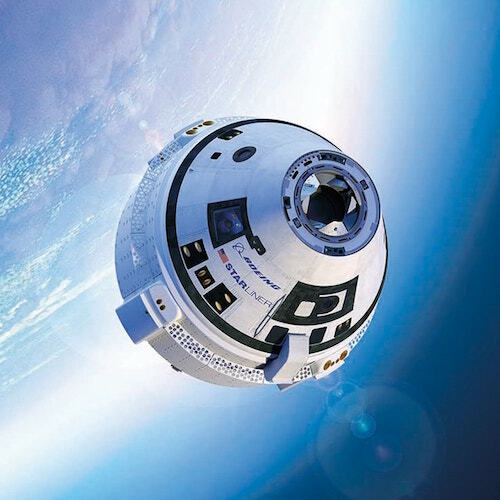 While for now this trend is only visible within the ultra-niche technologies, space systems currently being designed for use by your “average astronaut” are also being designed for use by commercial pilots. In order to cater to a civilian audience, spacecraft and their vital systems will likely need to bring a certain level of intuitive user experience. This would not only make vehicle systems more accessible to pilots in-flight, but also reduce time and expenses associated with commercial flight training. A reduction in training time would open the market for many more would-be space-goers, thereby ensuring continued demand for services. In anticipation of commercial crews, companies are also taking steps to update other aspects of spaceflight: The proliferation of new user-friendly commercial spacesuit prototypes is another example of how space systems are being modified––and modernized––for use by a wider subset of the population. These new spacesuit technologies couldn’t come at a better time, as sources report that NASA is facing a critical shortage of extravehicular mobility units (EMUs) for ISS crew members. Read more - Under Pressure: The past, present and future market for spacesuits. The return of crewed launch capabilities will have major implications for the U.S space industry. While U.S.-based commercial crewed launch services are on the horizon, they are not yet a reality. Since the Space Shuttle program ended in 2011, NASA astronauts have therefore been entirely dependent upon Russia’s Roscosmos space agency for rides to the ISS. Roscosmos’ Soyuz family of launch vehicles are currently the only human-rated launch systems to which NASA has access––for while China can also launch crewed missions, international law prohibits U.S. astronauts from booking a ride on Chinese rockets. India’s launch services, while another reliable international option, are limited to satellite deployments for the time being. NASA’s ongoing dependence on Russia’s Soyuzprogram is far from ideal. Potential diplomatic concerns aside, Russian rocket rides are costing NASA a significant portion of their annual budget. Business Insider estimates that between 2006 and 2018, NASA will pay Roscosmos over $3.34 billion fortransportation to the ISS. Next year, the Russian space agencywill charge the U.S. $81 million per seat––a figure that’s risen by 372% over the past decade, as Russia takes advantage of its position as exclusive provider of human-rated launches to the ISS. It is therefore unsurprising that NASA has invested considerable time and money into both Starliner and Dragon 2 vehicles. Restoring the United States’ ability to launch crewed missions is key to ensuring our continued presence in space. What’s more, fostering a competitive network of commercial launch providers is fundamental to the success of the commercial space industry. It seems as though NASA’s investment will soon pay off: SpaceX and Boeing have each estimated that they can fly crew to the ISS for around $58 million a seat. This is already nearly 30% cheaper than a Soyuz launch, and represents significant cost savings over time––and a return to a U.S.-based launch economy. With crewed SLS/Orion launch out of the question until at least 2021, commercial space is our best bet for human-rated launch. While NASA has been instrumental in positioning SpaceX and Boeing for success, the agency’s plans for their proprietary Space Launch System (SLS) continue to unfold. NASA’s ambitious SLS rocket––the largest rocket ever built––is being designed to deliver the agency’s Orion Multi-Purpose Crew Vehicle (MPCV) to cislunar space and destinations beyond. The two main components of the Orion vehicle––the command module, and the service module––are being built by Lockheed Martin and Airbus. 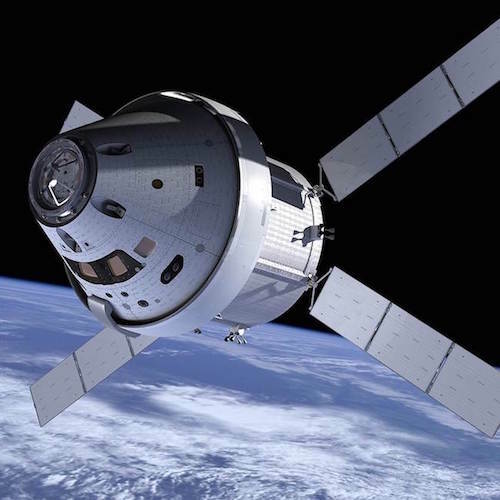 Notably, the terms of the Orion contracts follow NASA’s traditional cost plus funding model (wherein the agency assumes the role of a benefactor), rather than the partnership-style Space Act Agreements in place with SpaceX and Boeing. This has led many to criticize the program for its high costs and schedule delays, particularly when companies like SpaceX are planning to send humans to Mars on a much more accelerated timeline. The SLS’ maiden voyage (“Exploration Mission 1”, or EM-1), while originally scheduled for November 2018, has now been officially pushed back to “some time in 2019,” agency officials confirmed on May 12th. At the same time, NASA confirmed that they would not be pursuing the possibility of adding crew members to this first mission. While this announcement was not unexpected, the agency did clarify that adding a crew to EM-1 was not deemed technologically infeasible; rather, that it would simply require too much additional funding and likely delay the launch another year. NASA will therefore proceed with their original plan and reserve adding crew members until EM-2 (currently slated for 2021, though this timeframe could be extended). Essentially, this means that private companies may be the only U.S.-based launch providers for a period of several years. Assuming that all crewed commercial test flights proceed according to schedule, this could be seen as a valuable foundational period for a fledgling industry. A time to demonstrate that, yes––private space companies can deliver on their promise to bring competitive space access to an eager market. It may also provide ambitious ventures like SpaceX the opportunity to progress towards longer-term spaceflight goals––such as reaching Mars. The U.S. will soon be back in the business of launching humans into space. Of course, SpaceX’s Dragon 2 and Boeing’s CST-100 Starliner are both pending formal NASA certification. While each company has post-certification missions lined up with the agency, there are a few final hurdles to resolve. Boeing and SpaceX are both dealing with production delays that have pushed back launch schedules. While neither company has ruled out a crewed test flight by year-end 2018, industry experts are skeptical that either Boeing or SpaceX will be able to meet this goal. 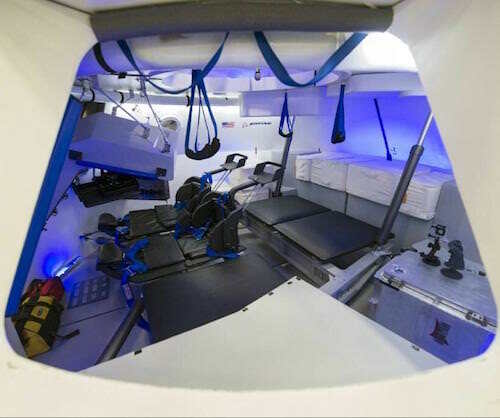 The next twelve months promise to be an exciting time for anyone with an interest in the commercial space industry, as private ventures ramp up their efforts to pull off a crewed test mission in accordance with stated timelines. Thanks to the efforts of SpaceX, Boeing, and NASA’s Commercial Crew Program, the United States soon will be capable of launching astronauts into orbit once again. As private enterprise continues to push the boundaries of space exploration, investors should remember that while interest in entrepreneurial space has been ramping up, commercial space technologies are reaching an inflection point. For those who haven’t yet taken action, the smart time to get involved with private space companies is right now.